Welcome to Day #7 of Chocolate and Halloween wEEKs. 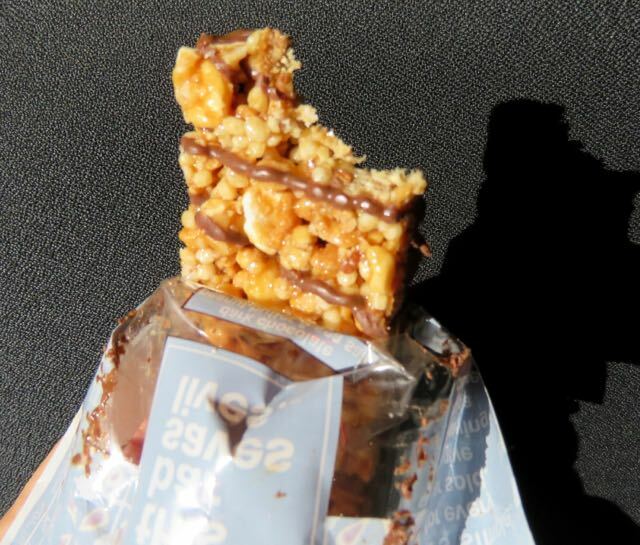 Candy bars and confections still rule Halloween. So this week we've been focusing on a range of traditional, healthy, updated and other versions of traditional chocolate candy bars. Another variation is...the chocolate candy bar with a social purpose. 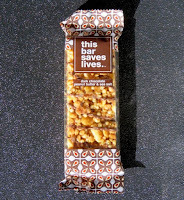 Today's Dark Chocolate Peanut Butter and Sea Salt bar was from This Bar Saves Lives (Culver City, CA). It was gluten free, dairy free, non-GMO, and made with Fair Trade Cocoa; and it had a chewy, slightly crunchy satisfying texture and taste. This bar also, as the name implied, had a social purpose: "Buy a Bar. Feed a Child. Healthy Snacking," read the taglines. 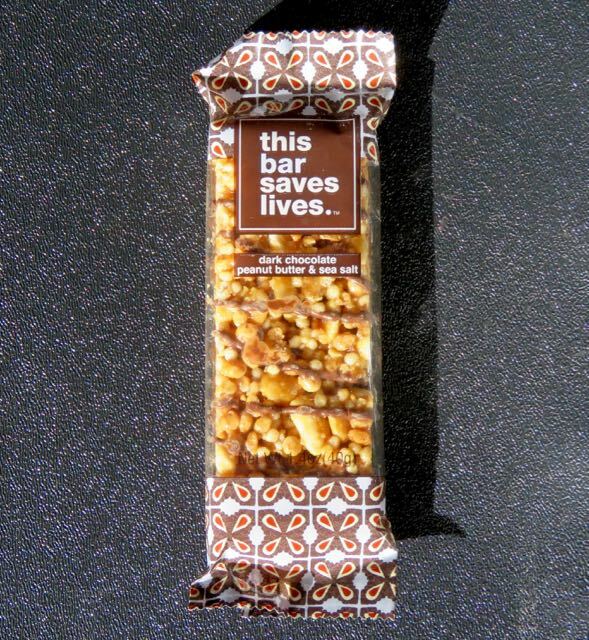 The company uses proceeds from their bar sales to make and send food aid packets to children around the world (Democratic Republic of Congo, South Sudan, Mexico).